It’s been a busy five years at the Hallie Ford Center. 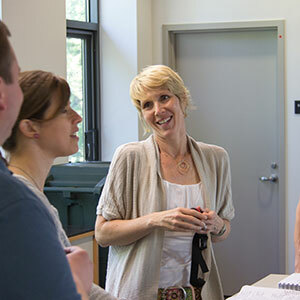 This hub of research activity increasingly is a gathering place for faculty, staff and students to connect, learn and discover. And it’s just getting started. What follows is a brief snapshot of some of the impactful work being done in this vibrant, young center. In addition to groundbreaking research, the center has expanded its parenting resources, hosting an annual Oregon Parenting Educators Conference in recognition of Oregon Parenting Education Week (OPEW) and building a statewide infrastructure to support professionalization of the parenting education field. 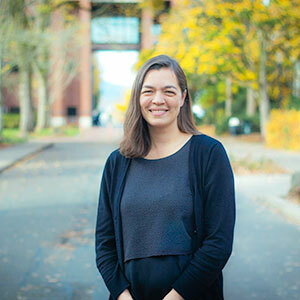 Shauna Tominey joined the center in 2016, serving as principal investigator for the Oregon Parenting Education Collaborative (OPEC), which aims to expand access to parenting education opportunities across Oregon. OPEC, a collaboration between OSU and Oregon’s four largest foundations, includes 15 hubs serving 29 Oregon counties and Siskiyou County in California. These hubs have increased availability and access to high-quality parenting education programs, have helped de-stigmatized parenting education, and have increased collaboration among agencies focused on parenting outcomes. In December 2016, Assistant Professor John Geldhof found that parenting education can improve parenting skills and children’s behavior for families universally and that it particularly benefits families from low-income or otherwise underserved populations. The study was part of a partnership between the college and OPEC. In 2015, the center launched the Family Impact Seminar Series to facilitate learning among policymakers and experts in a nonpartisan, solution-orientated way with the goal of promoting policies that affect the well-being of families and children. In the series, top researchers share information in or near the Capitol building, making it easy for policy leaders to participate. The topic of the 2015 seminar was “Two-Generation Approaches to Poverty,” which helped shaped the 2016 statute that increased the Earned Income Tax Credit value for parents with children under 3. The 2016 seminar, “Childhood Obesity: School and Community Solutions,” featured Kathy Gunter from the HFC and Craig Gunderson from the University of Illinois-Urbana-Champaign. Their presentation revealed that policies that support access to physical activity and healthy food, such as physical education and SNAP program policies, are crucial for obesity prevention. The following day, Kathy presented her research in front of the Senate Committee on Health Care on the outcomes of House Bill 3141. Signed by the governor in 2007, the bill requires that K-5 students receive physical education 150 minutes per week and that students in grades 6-8 receive 225 minutes. The Oregon School Readiness Research Consortium is led by Megan McClelland, Katherine E. Smith Endowed Professor in Child Development; Andy Mashburn, PSU; and Katherine Pears, Oregon Social Learning Center in Eugene. The consortium focuses on research to inform current early childhood education evaluation and policy efforts, and to disseminate results from research and evaluations to policy-makers and practitioners in Oregon and beyond. In addition, Megan is part of a larger group of researchers also looking at kindergarten readiness, self-regulation and early learning. 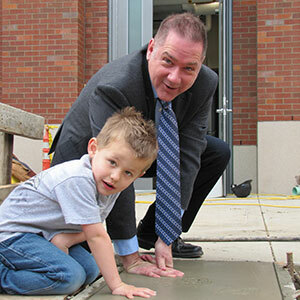 In 2015, OSU-Cascades researcher Shannon Lipscomb received a four-year, $1.5 million grant to develop and test a program to help teachers improve the school readiness of preschoolers exposed to trauma. Together with colleagues, Megan and Shannon have secured more than $6 million in research funds related to school readiness and early learning. Workers younger than 25 are twice as likely to be injured on the job as other workers. Reasons include that young people are more likely to try something they don’t know how to do, switch jobs more frequently than adults, are motivated to prove themselves, and may not ask questions to avoid looking inexperienced. 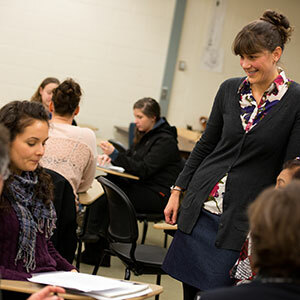 Enter Assistant Professor Laurel Kincl, whose research aims to improve safety among youth. One project focuses on fishermen and families engaged in the West Coast Dungeness crab fleet. She and her team have analyzed the injury characteristics of injuries reported to the U.S. Coast Guard and completed a survey of injuries and fishermen’s opinions on safety. They are now developing and testing targeted injury prevention strategies with fishermen. In addition, she helped to develop an online young employee safety awareness training with two Oregon State public health students and the nonprofit Oregon Young Employee Safety Coalition, O[yes]. The interactive training covers topics such as finding and controlling hazards, young worker rights and responsibilities, and how to speak up for safety and prepare for emergencies at work.